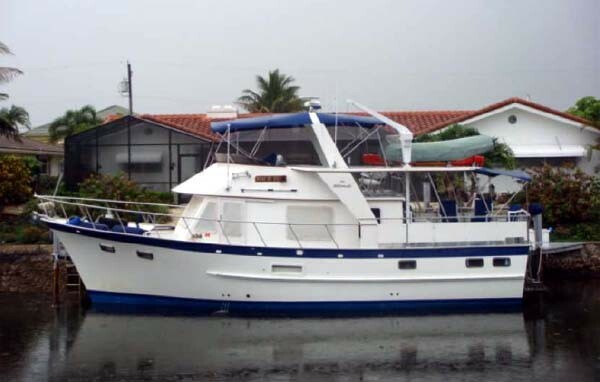 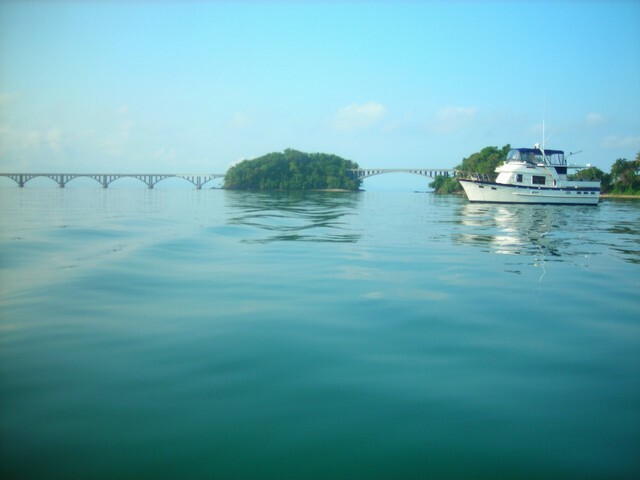 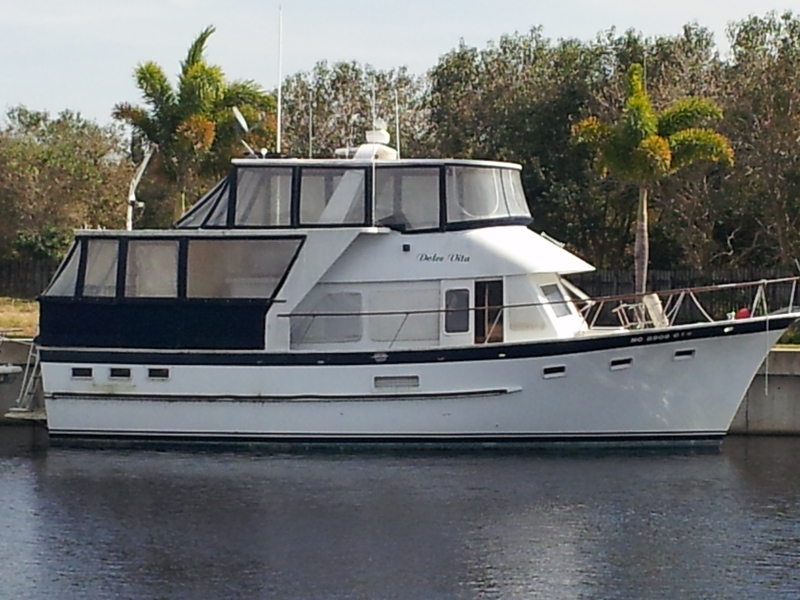 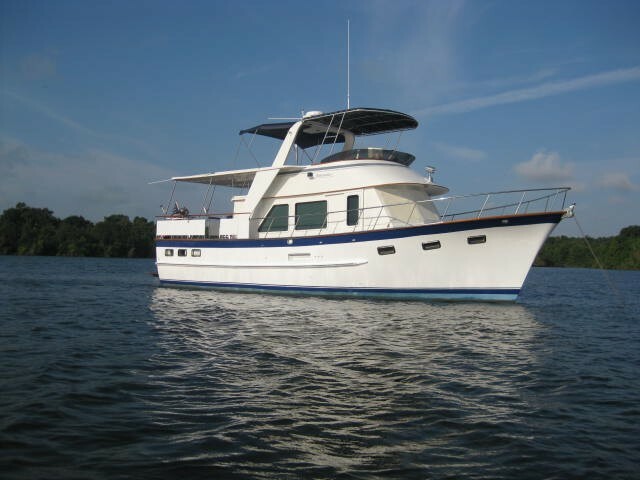 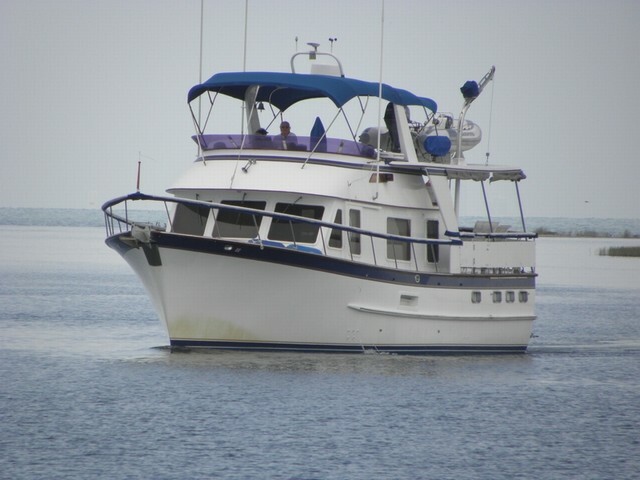 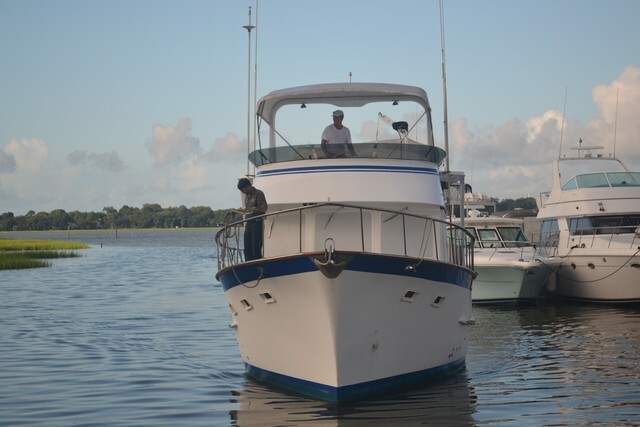 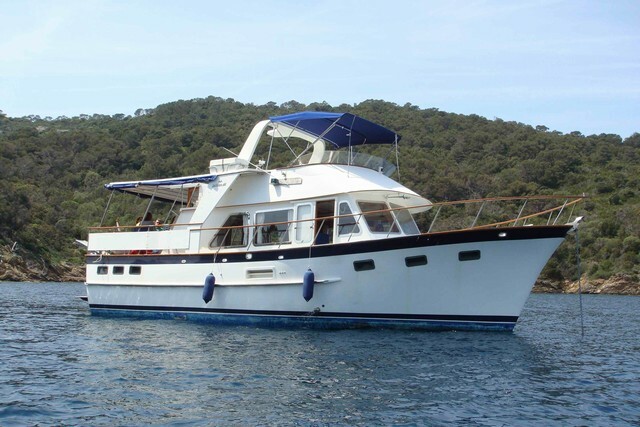 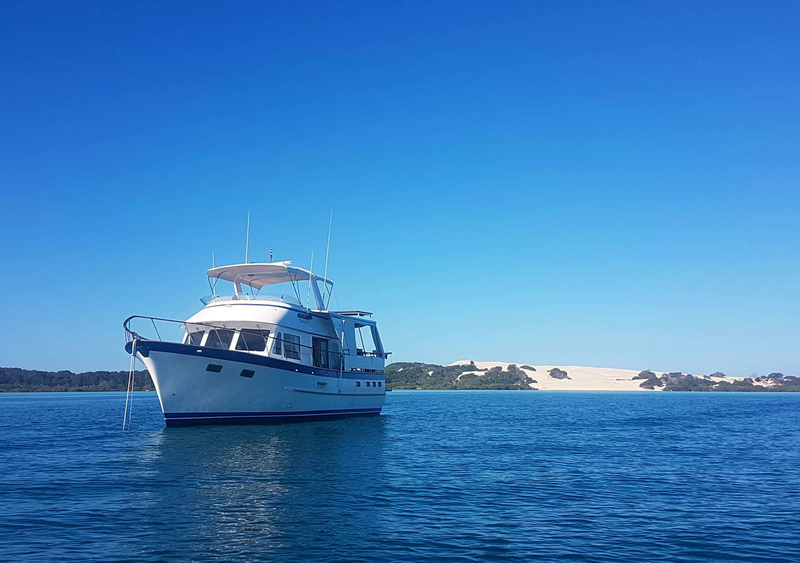 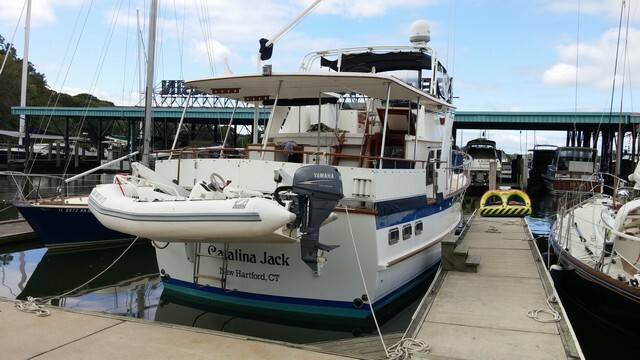 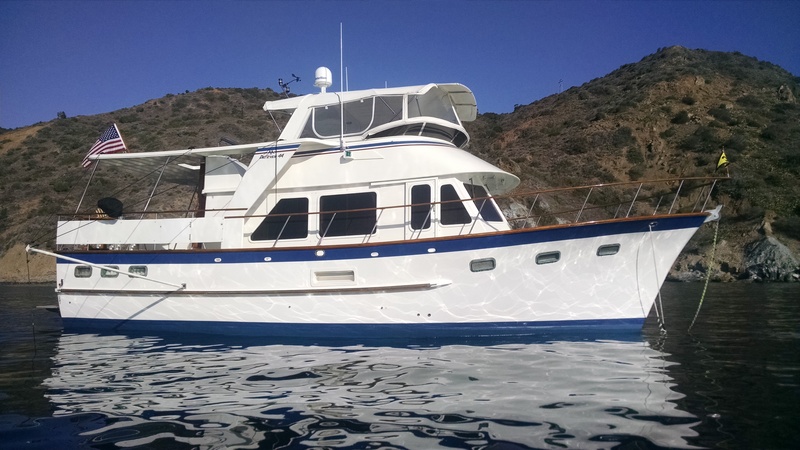 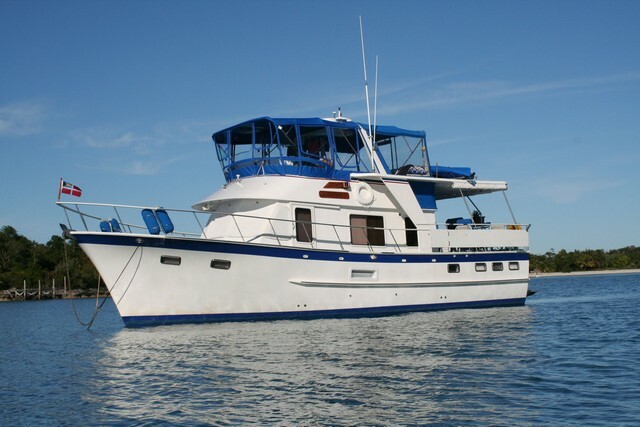 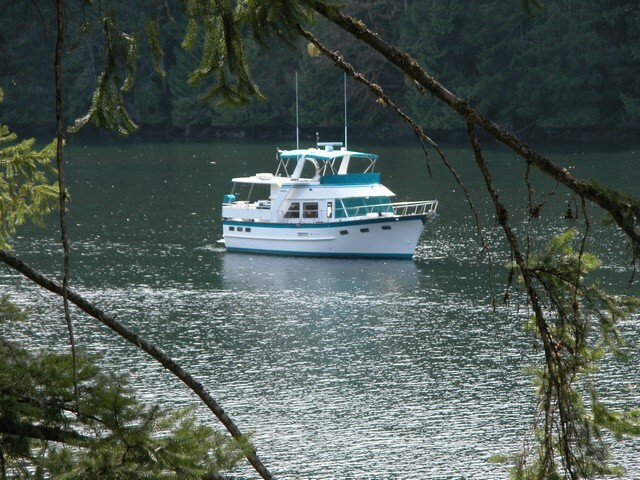 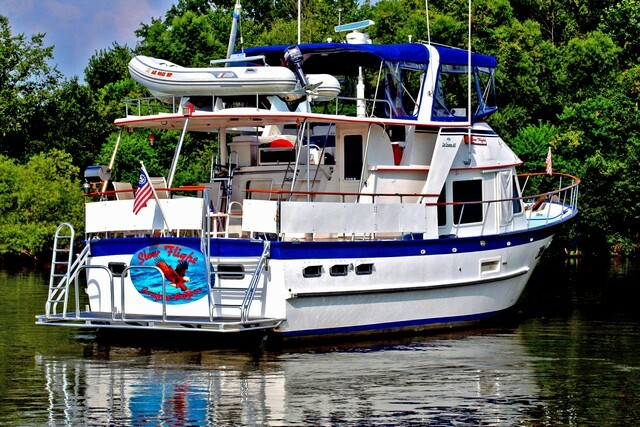 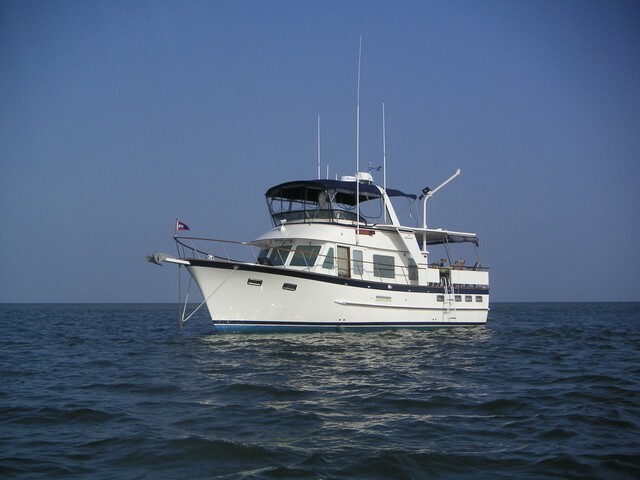 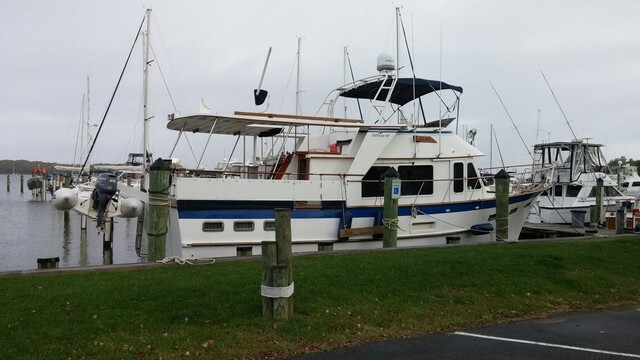 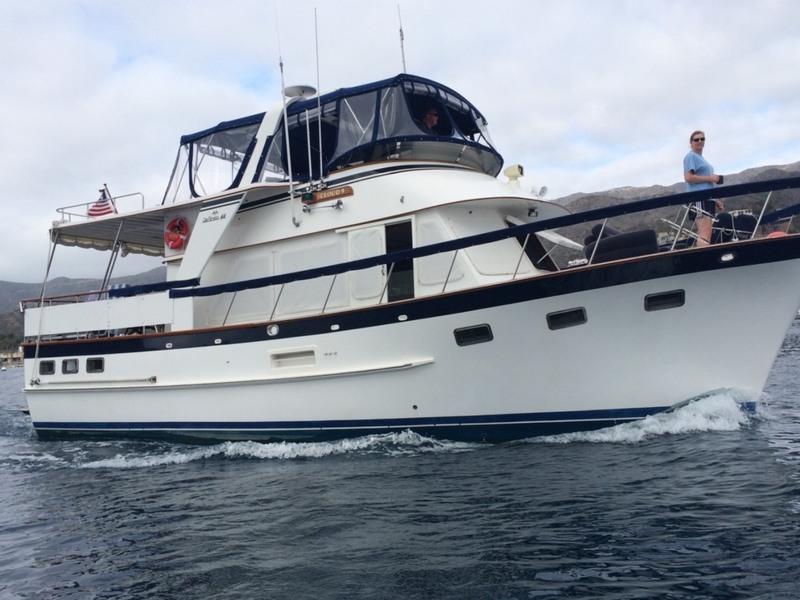 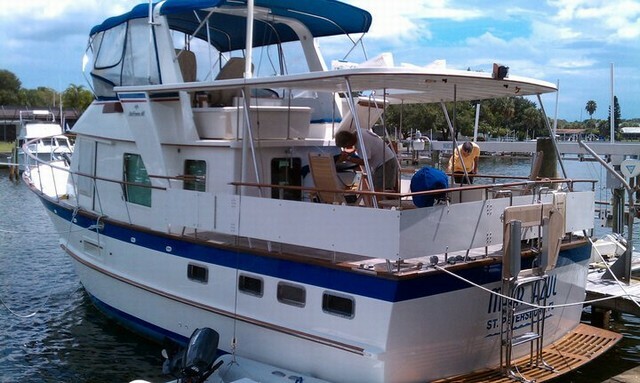 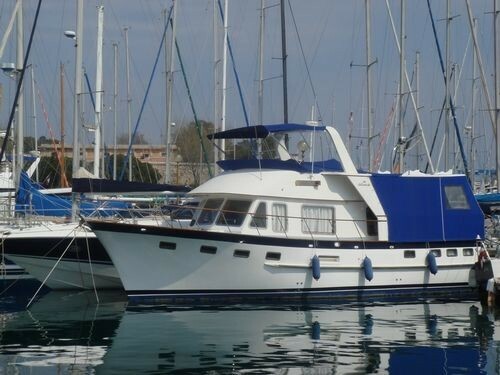 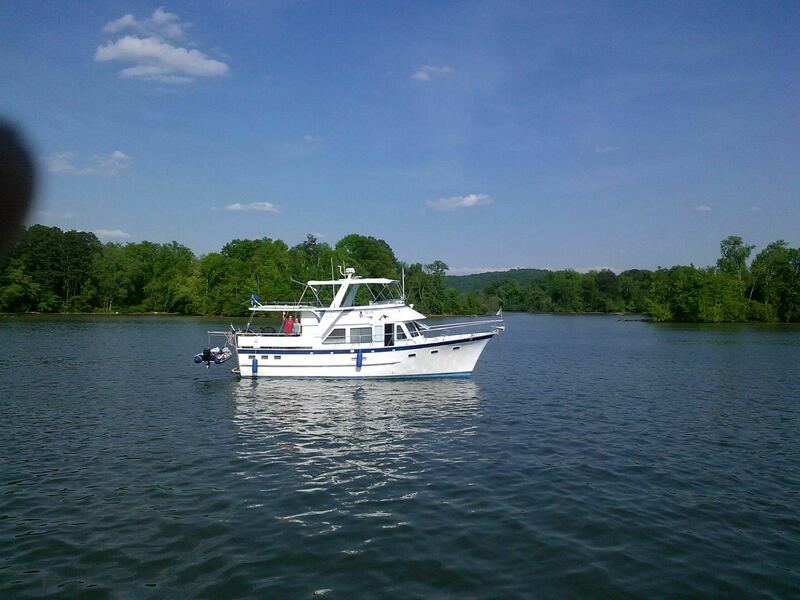 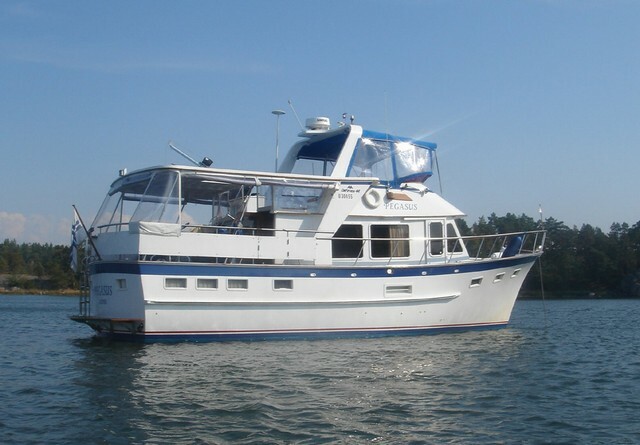 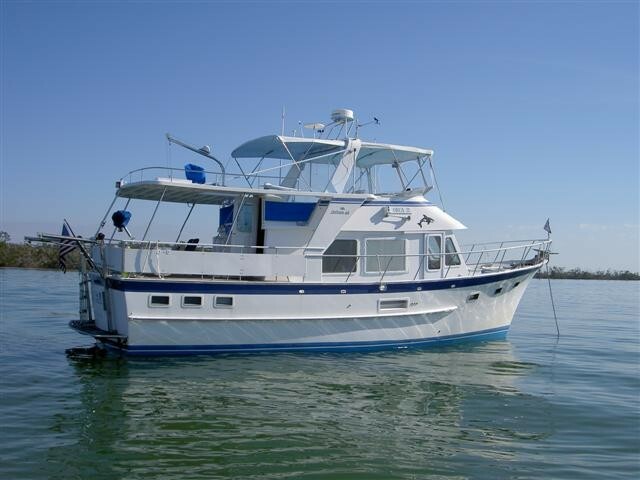 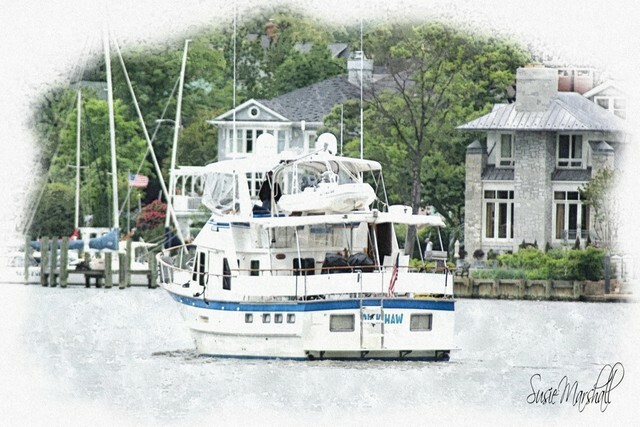 One of the most popular designs, the 44 Offshore Cruiser is perfect for the cruising couple. 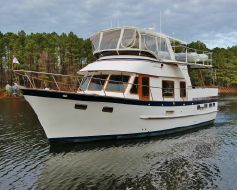 It has an enormous aft deck and bridge area. 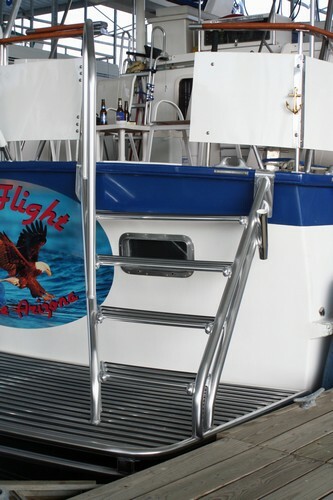 The sun deck will carry an 11-foot Whaler or RIB. 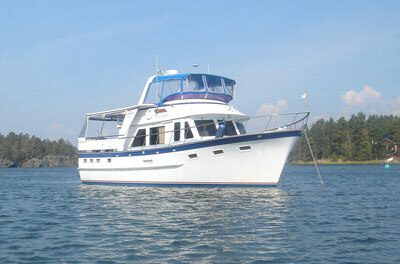 The owner’s cabin is sizable and located in the stern. 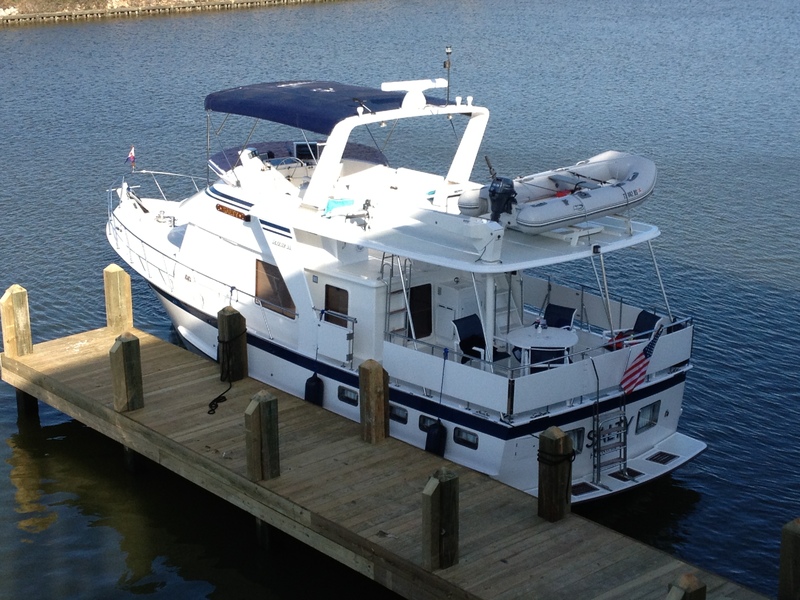 A single guest cabin is forward. 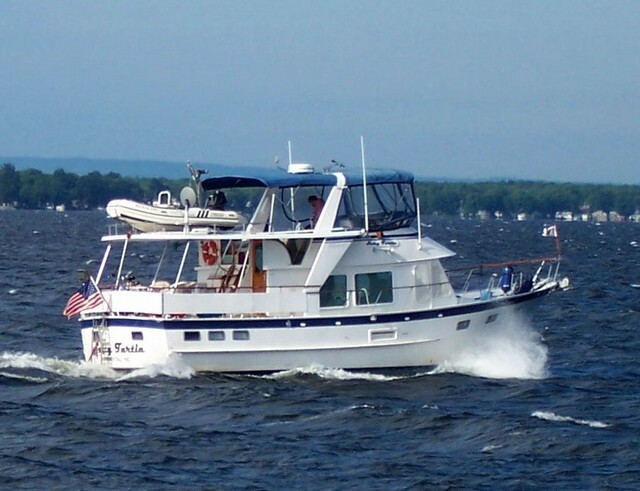 She typically carries 900 gallons of fuel and 350 gallons of water. 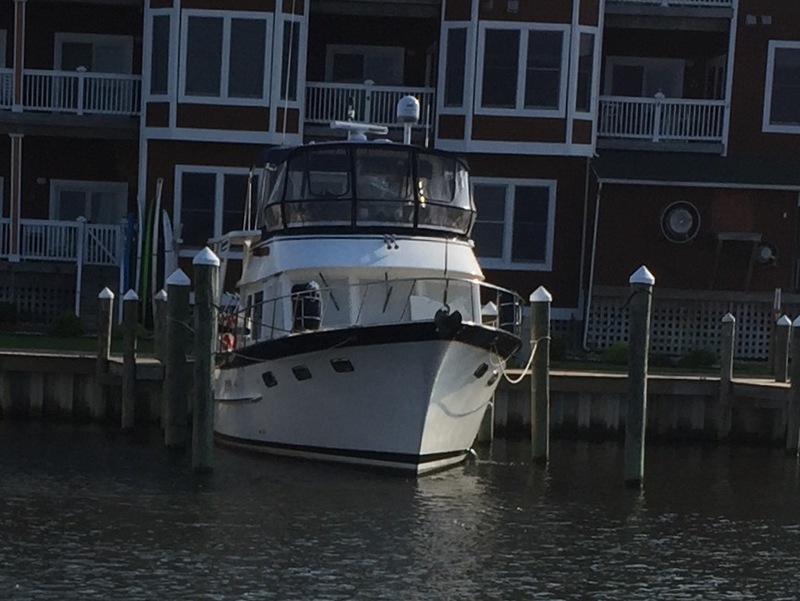 Range is easily 1500 miles or more. 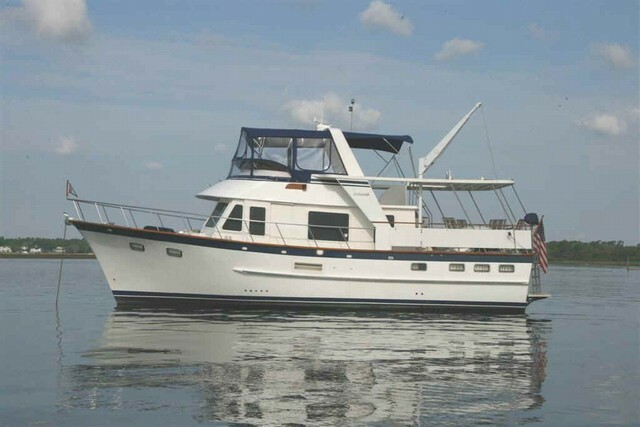 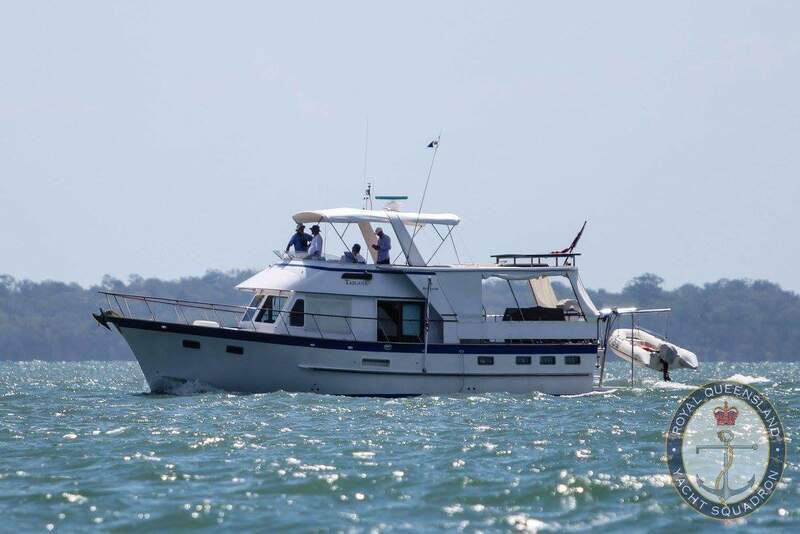 The 44 is a trusted long-range cruiser with full displacement hull of solid FRP. 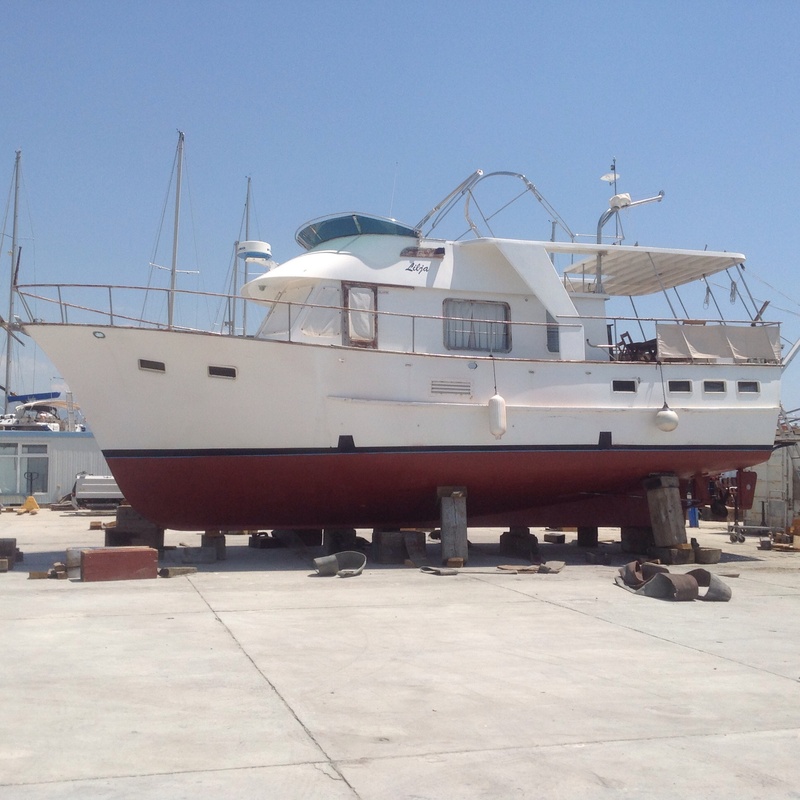 No longer in production. 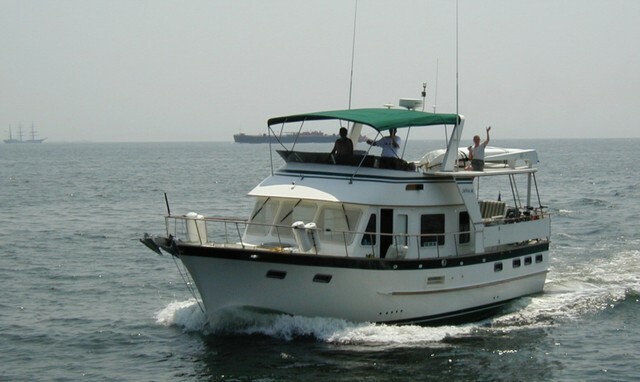 Replaced by the DF45 Aft Cabin model which is longer, wider, and has a semi-displacement hull design.